All submitted papers will be reviewed by at least two reviewers. Selection criteria will be based on relevance, originality, significance, impact, technical soundness and quality of the presentation. Contributions are expected to provide original results, insights and experimental innovations. Authors are responsible for having their papers checked for style and grammar prior to submission to MENDEL. The accepted and presented papers will be published in the MENDEL journal series as hard copy journal, Open Access, ISSN 1803-3814 which is indexed in Scopus, or in AISC Springer series indexed by ISI Thomson Reuters (WoS), DBLP, Scopus, Google Scholar and Springerlink. The authors of the best selected papers with journal quality will be invited to adapt and extend their contribution for the publication in the Special Issues of prestigious journal. We prefer that one person to be the first author of one paper and eventually co-author of two aother papers only. One person can be author/co-author of maximum of three papers. Papers for the review must be sent in electronic form, the pdf (editable) format is required. Authors should submit an electronic version of papers (pdf) for the review process by means of the conference web pages. The previous registration is required. After login you can upload your paper(s) for review process. After the review notification of acceptance, authors will be allowed to make a correction in accordance with the suggestions of the reviewers and submit final camera-ready paper. Please strictly follow instructions for paper formatting otherwise paper which does not meet these guidelines may not be published !!! (a) Colors and Black & White (Gray Scale) Print Testing: If you have any images in color, we suggest that you print your paper to a black/white printer (or black-white version) to be sure that the tones and screens used in your images or figures reproduce well in black and white. The figures are expected to be printed in colour. (b) Resolution: We recommend vector images or bitmap images to be at least 300 dpi for quality reproduction. (c) Rules/Lines: We recommend for quality reproduction of rules in your graphs, tables or charts, that the rules are at least a 0.5 pt. and black. (d) Fonts: If your figure uses custom or any non-standard font, the characters may appear differently when printed in the proceedings. Remember to check your figure creation that all fonts are embedded or included in the figure correctly. All papers of the MENDEL will be peer reviewed by two independent reviewers. Acceptance means that both reviewers' recommendations are positive. All accepted papers from the round will be published in MENDEL (link) and will be send to Scopus for indexing. The participants will obtain the MENDEL journal (paper back issue) during registration at the conference. Consent to Publish All authors submitting papers to MENDEL series proceedings must give the MENDEL specific permission to publish the work ("consent to publish"). Printed version 4, 6, or 8 pages (to be published in the printed proceedings). Electronic Open Access version is the same. Text should be typed in 10pt Times New Roman font on A4 format (not Letter, not Legal format! ), single spacing, single column format, margins 20 mm above and 25 mm below, 20 mm on the right and on the left. Your final submission SHOULD NOT contain any footer or header string information at the top or bottom of each page (do not number the pages ). (CAPITAL LETTERS, 14pt, bold, centred). The author's name(s) (12pt, centred). Address with phone, fax and e-mail (10pt, centred). Double line space (2x 10pt). Abstract (10pt, italic, max. 10 lines). Text (10pt) and Headlines (12pt, bold). We ask authors to strictly follow the instructions for paper format, otherwise the paper will be rejected! 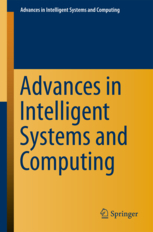 AISC Springer Series (link) as proceedings. The participants will obtain Springer AISC book after conference by post mail in 2019. Indexed by ISI Proceedings, DBLP, Google Scholar and Springerlink. Number of allowed pages for the paper is from 8 to 12. We recommended even number of pages. Electronic version is equal as print version.